For years there has been great discussion about how show type is different from functional type. Show cattle are bred to be taller, deeper and to have level rumps where functional cattle are bred for maximum feed conversion and sloping rumps (Read more: From Fantasy to Reality – Top Sires to Address Herd Culling Problems). 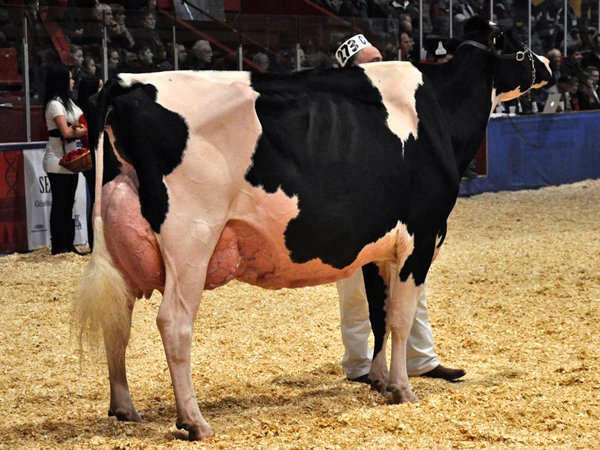 For the most part, the show ring has always been an exhibition stage for genetic advancement. However, more recently there has been rising debate about whether the show ring is still achieving this. For the most part this conversation is centered around the need for a non-milking SR./Fall yearling class at the major fall shows. You see, by fall shows most of the animals in this class are over 2 years of age and, compared to the average calving age, are behind the majority of their other young cow peers. 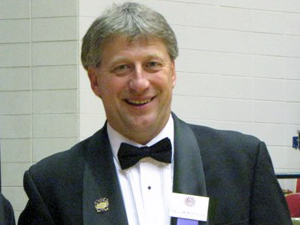 With the cancellation of the non-milking Sr./Fall yearling class for Ayrshires (Read more: A Letter to the Editor From US Ayrshire President in Regards to Fall Yearling Class Cancellation ) this discussion has heated up even more. To get to the bottom of this, the Bullvine decided to look at both sides of the argument. They show all summer at an age that is under two, and if these shows are to be the championships for the year, should there be a class that animals have competed in all summer. You need to look at the timing of the shows. Since Madison is in early October and only 1/3 of the yearlings should have calved by then, it doesn’t make sense to cancel the class there. The show ring is about breed promotion, so why not show off as many great animals as possible? There have been some interesting points made about how calving them in early can lead to cows burning out later in life. A case could be made for this. When you look at the All-Canadian Mature Cows and 5 year olds over the past 2 years, NONE were nominated in milking form as a yearling. The quality of the milking yearling class has probably shown the greatest rate of advancement over the past 20 years, compared to any other class. Yes some of the summer calves are pretty large and cut right, and the 150,000 lbs. class is amazing to see with the great longevity of these animals. However, if you look at the whole class, from top to bottom and consider the rate of change, none of these highlights compare to that of the milking yearling class. 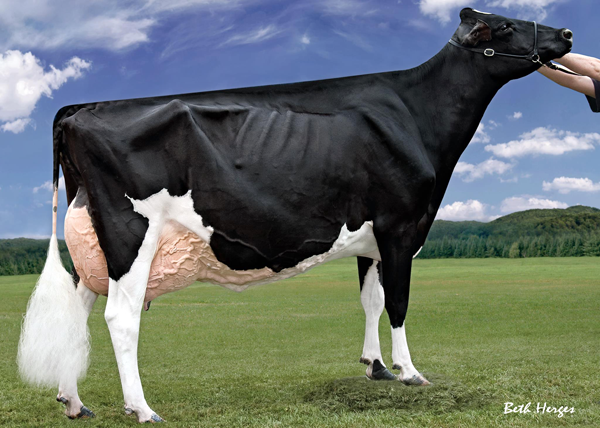 Over the past 5 years more animals have gone on to success in Milking form from the Milking Sr./Fall Yearling class than that of the non-milking class (Read more: Do All-Canadian Heifers Make All-Canadian Cows?) 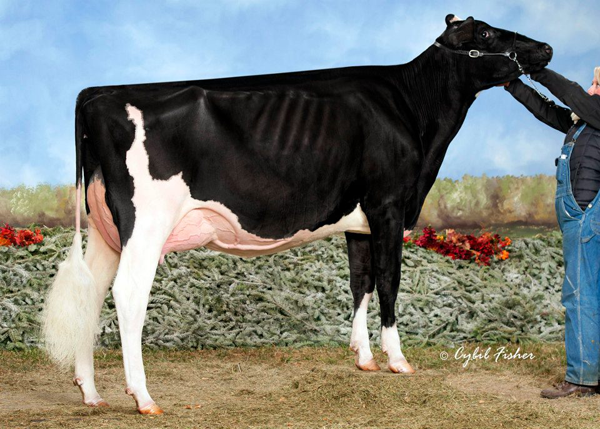 A great example of this is Valleyville Rae Lynn who was 2nd at the Royal this year as a 2nd calf Milking Senior 2yr old and now has the ability to flush, develop and compete in 2014 as a 3rd calf 4 yr. old. Just imagine how impressive she will be. 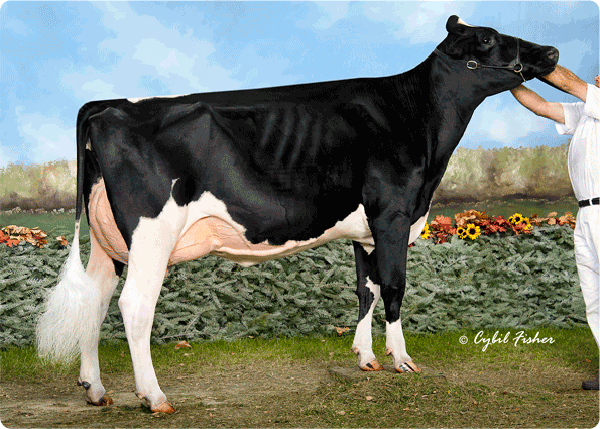 This is also the plan for the very popular and unanimous All-Canadian and All-American Milking Yearling, R-E-W Goldwyn Happy Go Lucky. 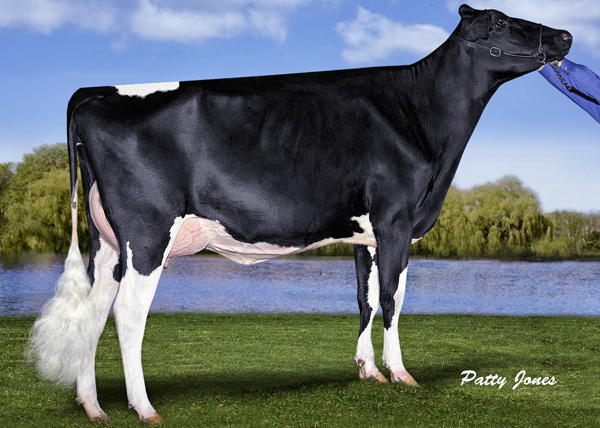 In fact the two most recent animals to convert heifer success into milking success where CRAIGCREST RUBIES GOLD REJOICE and T-TRIPLE-T GOLD PRIZE where both Winter/Intermediate Yearlings. The Royal is in November when more than 2/3 of the class should have calved and, as a result, it really doesn’t make sense to have the class. 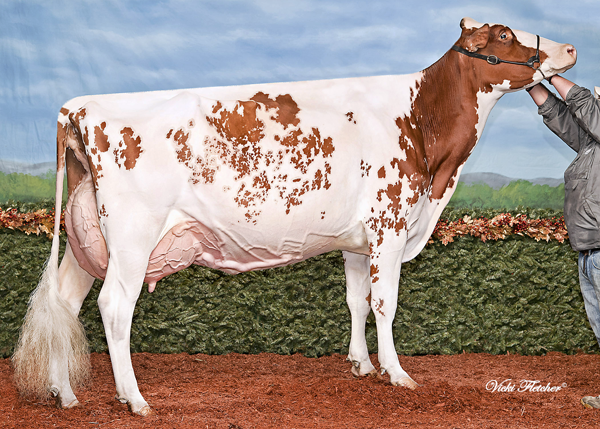 When looking at the non-milking SR. yearling class at the Royal, one of the biggest challenges that is consistent throughout the class is the dairyness or lack thereof throughout the class. It is very hard to keep these animals clean and dairy. 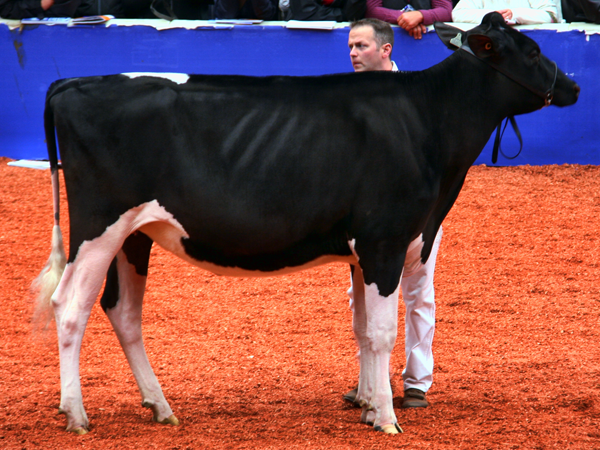 Jerseys have been well ahead on this from both a breed advancement and a show ring perspective and, as a result, their average age at 1st calving is low and they DO NOT have a Senior Yearling class at the Royal. 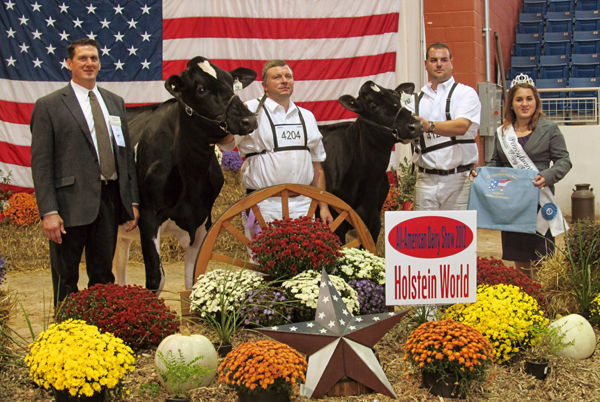 (Please note they do have a Fall Yearling class at World Dairy Expo). I have heard the argument that some animals are just not big enough or developed enough to calve that young and I can totally understand that. Nevertheless, should these animals be rewarded for being behind in their development, when compared to others? Remember, Dry Cow classes were dropped because they did not showcase milking udders and production ability. Two major functions of dairy cattle profitability. The dairy cattle industry is a business and dairy cows don’t become profitable until after they calve. Shouldn’t we be showcasing profitable animals instead of those that are still costing money? Remember the dairy farming is a business and everyone needs to appease the banker. The banker is like an undertaker and eventually everyone has to pay the price. While there are many great points on both sides of this argument, if the show ring truly wants to stay relevant and represent the best the breed has to offer than there is no question it needs to be ahead of the curve and not behind it. That means it should be leading the charge not following it. The one thing both sides can agree on is this is an issue the breeders need to decided together in order to ensure that dairy cattle showing stays relevant going into the future. Since the breeders who show at the national level really are a niche group, they need to make sure they stay market relevant or become irrelevant very fast in the eyes of most producers and the breed associations as a whole. What do you think? Take our Facebook poll.